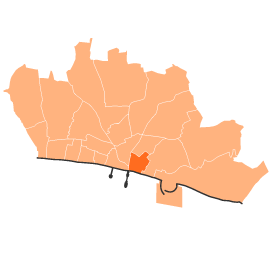 The Tarner Community Safety Action Group falls mostly within the Queens Park ward, but with some parts (The Pheonix Estate) within Hanover and Elm Grove. The groups area of interest includes Grand Parade/Richmond Place to the west, Albion Hill (including the Pheonix Estate) to the north, Queens Park Road (west side) to the east and Edward Street between Grand Parade and Egremont Street ot the south. The group meets bi-monthly at various community venues within the area and meetings are attended by Ward Councillors, Sussex Police, the Drug and Alchohol Action Team, Neighbourhood Management staff, housing officers and residents. All residents within the area are welcome to attend.